﻿ SAS Management Inc.Lean Six Sigma- Process Excellence - SAS Management Inc.
A combination of two process improvement frameworks, Lean and Six Sigma presents a thorough yet rigid concept of improving organizational efficiency and effectiveness by two focus points- optimization of resources by maximizing value-adding activities and enhancing its performance through establishing controls on process variation. Lean Six Sigma is a process improvement programme that combines two ideas: Lean - a collection of techniques for reducing the time needed to provide products or services, and Six Sigma -a collection of techniques for improving the quality of products and services, substantially contributing to increased customer satisfaction. By combining the two, Lean Six Sigma is a proven business management strategy that helps organizations operate more efficiently. According to many business analysts and quality improvement experts, Lean Six Sigma is the most popular business performance methodology in the history of corporate development. Based on today’s need for independent, globally recognized certification, the International Association for Six Sigma Certification (IASSC) has developed three exams: the IASSC Certified Black Belt (ICBB), the IASSC Certified Green Belt (ICGB) and the IASSC Certified Yellow Belt (ICYB) Exam, designed to measure a person’s knowledge of the Lean Six Sigma methodology. The IASSC Certified Lean Six Sigma Yellow Belt (ICYB) is a professional who is versed in the basics of the Lean Six Sigma Methodology who supports improvement projects as a part of a team. A Lean Six Sigma Yellow Belt possesses an understanding of the aspects within the phases of D-M-C. They apply this knowledge to all aspects of their primary functions. The IASSC Certified Lean Six Sigma Green Belt (ICGB) is a professional who is well versed in the Lean Six Sigma Methodology who both leads and supports improvement projects, typically as a part-time role. A Lean Six Sigma Green Belt possesses a thorough understanding of all aspects within the phases of D-M-A-I-C. They understand how to perform and interpret Six Sigma tools and how to use standard principles of Lean. The IASSC Certified Lean Six Sigma Black Belt (ICBB) is a professional who is well versed in the Lean Six Sigma Methodology who leads improvement projects, typically in a full-time role. 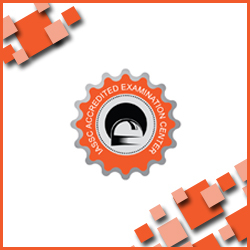 A Certified Six Sigma Black Belt possesses a thorough understanding of all aspects within the phases of D-M-A-I-C. They understand how to perform and interpret 6 Sigma Black belt tools and how to use standard principles of Lean.